TargetGenius, previously known as Rately for Merchants, has announced the availability of browser push notification capabilities specifically for e-commerce retailers. 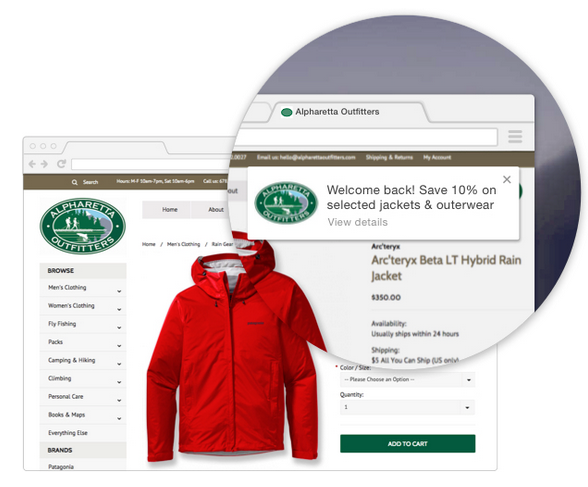 TargetGenius enables retailers to leverage notification capabilities for the Chrome and Safari browsers to create a more engaging, personalized and productive shopping experience. For instance, when shoppers visit an e-commerce site, they’re asked to “follow” the retailer to receive personalized notifications. The shopper then receives targeted messages while shopping as well as after leaving the site or closing the browser. For example, retailers could leverage TargetGenius to use site banners and push notifications to let shoppers know that a viewed or tagged item has a lower price or has become a “hot seller.” In addition, the solution can help retailers deliver promotions to shoppers, connect shoppers to relevant content in social media or remind shoppers of items left in their shopping cart. It is important to note that TargetGenius can be set up in led than 15 minutes and also comes with a library of notification ideas that can be customized by retailers. “Browser push notifications will forever change how merchants engage with shoppers,” said Tom and Bob Klein, owners of TargetGenius. “TargetGenius automates the delivery of individual level personalized messages to shoppers, without requiring an email login."